You Can't Grow Your Business if Your Prospect Data is Dirty. We specialize in complicated searches. For example, you may want to know how many companies are using a competitor's product. Perhaps, you work in the automotive industry and need a list of tier two suppliers. We set the criteria and deliver a list of companies. Need to reach relevant decision makers? Whether we use your existing list or build a list of prospects based upon your criteria, let us find the contacts that will be interested in your products or services. We'll find them regardless of position or title. Have a list but it is starting to show its age? 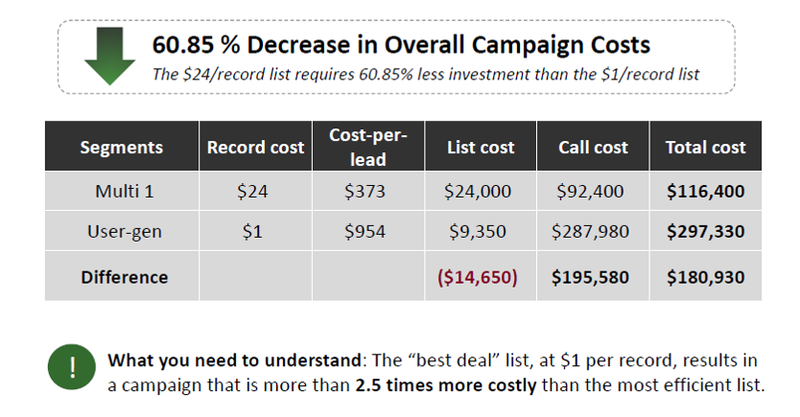 Has your sales staff lost confidence in their prospect list? Let us pull data from our propietary database and telephonically verify the information to return a reliable list, so your salespeople can be more productive. Have a list but need email addresses or, perhaps, want a direct dial phone number? We'll take your existing data and supplement the critical missing information you need to turn your next lead generation effort into a success. See how we grew the sales pipeline, influenced new revenue and developed best practices for this communications company. Take Your List a Step Further With Lead Generation Calling. Help your Sales Team do what they do best . . . SELL.